I am sure that you have seen many video blogs online, but what we mostly find are people talking about their "opinions" with no verifiable fact. Because sociology is a social science and all sciences utilize the scientific method, we will raise the bar a bit and use video blogging as a means of sharing our own analysis. Please limit your video blog to 30 seconds. Thank you! Failure to follow instructions will result in the following point deductions. ​One of the many benefits of this approach is that you can share information with one another in the modern way. If you were to write a paper and only the professor would read it, the rest of the class would miss out on the knowledge that you have created. Unless otherwise communicated, your blogs should be as close to 30 seconds as possible. Many times, we are pressured to make things last longer when we probably could have made our major points in a much shorter amount of time. This will be a challenge for many, but after all, living and learning should be about challenges - 5 or 10 seconds longer will not result in a deduction. Please, don't just CUT IT OFF at mid-sentence. Wrap it up professionally or redo! Answer the PROMPT in your Video Blog (see bottom of page) and UPLOAD to youtube, making sure that the YouTube video is marked as "public" or "unliste" and not set to private. Make sure the video link works! 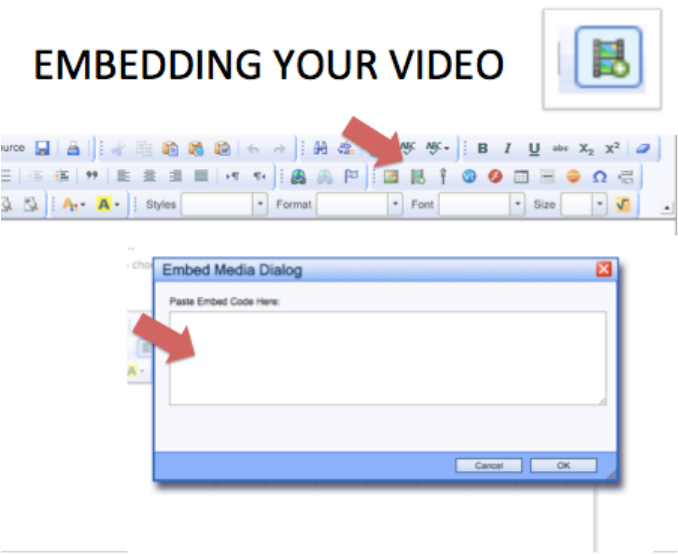 EMBED LINK to your video blog on the VIDEO BLOG section of the discussion post page that correspondS to the assignment. You can easily access this through the CourseMap. Now, go the Video BLog Link in "Discussions" and Click on the appropriate link. You will see a tool box directly above the blank box. Click on the icon shown below then paste the HTML code into the dialog box. Click OKAY. THIS IS LOCATED IN ETUDES WHEN YOU GO T POST. MAKE SURE YOU CLIK ON "OK" AFTER YOU HAVE PASTED THE EMBED CODE. If you are filming using your smart phone, please record in "landscape" orientation. The graphic below is a good "best practices" for your filming. Make sure that the lighting is good so that you can be SEEN and that the volume is high enough so that you can be HEARD. 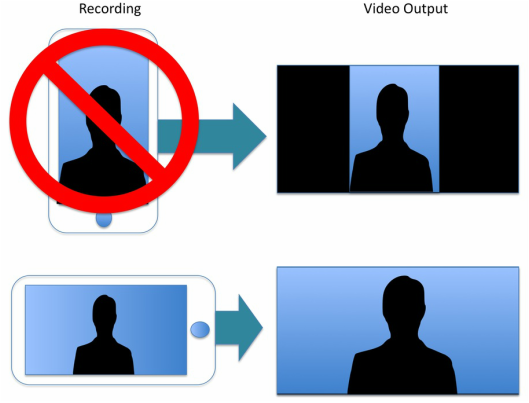 Videos that do not meet these very basic requirements will not receive the full points possible. ​I recommend that you share the video with a friend or family member to make sure it works before submitting. Do NOT wait until the very last minute to submit the video - if you run into technical issues and miss the deadline, the video blog will not be accepted. Failure to follow these basic expectations will result in a POINT REDUCTION for these assignments as communicated in the rubric above.